The Accidental Chef: Ground Lamb & Cauli Mash! Dinner made easy this evening... I went for some Ground Lamb & CauliMash! It literally took me 30 minutes. I bought some organic ground lamb BOGO (buy one get one free) at Publix on Sunday and was excited to taste it! Now what to make with it? 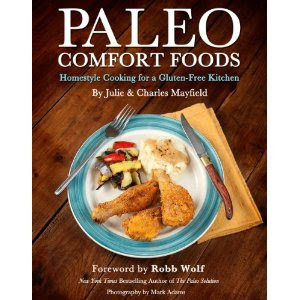 I was flipping through the pages of my amazing new cookbook, Paleo Comfort Foods and found a Mashed Cauliflower recipe. So it's that simple... Protein, Carbs, & Fat! Thanks for stopping by.... I'd love to here your comments! Made the Cauli Mash! It was fantastic! Thanks for the video recipe. That is great news Ismael... Thanks for commenting!